I think I’ve got some good links for you this week as well as a couple of fun ones. Topics include freelancing, WordPress, Twitter, Feedburner, Inauguration Photos, Cats, and Calendars. Enjoy! 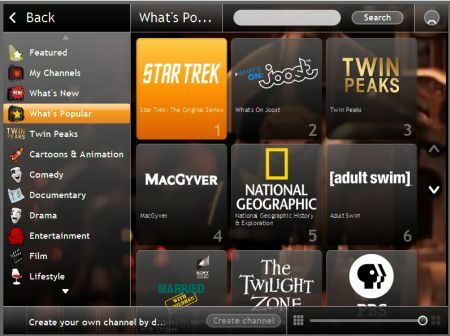 Joost is a service that provides tv over the internet. It is for Windows and Mac and requires a broadband internet connection and software that must be downloaded. I first read it about a year ago when Lifehacker posted a review of the service. I took a look at it but was not that impressed with the content provided and didn’t like the idea of having to download software in order to watch. This, however, changed on Saturday June 7th, when rjleaman mentioned via twitter that Joost was now showing Twin Peaks! Twin Peaks! Ok, so maybe it’s time for me to check out Joost again. I headed over to Joost, downloaded and installed the software, created an account in order to create favorites and then took a look at the software. 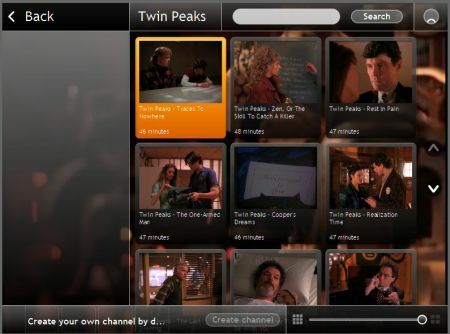 Obviously, I was excited about Twin Peaks but I wanted to see what other content was available as Joost claims to have over 28,000 shows and over 480 channels. And unlike a year ago, I was impressed. Other available programs are MacGyver, CSI, Adult Swim, National Geographic and The Twilight Zone. The video quality is quite good too. I don’t really watch television and don’t have cable. My tv is used to watch PBS cartoons, watch a dvd or play the Wii. I primarily watch tv online and use hulu to see The Office and 30 Rock. Joost, however, is a nice little application with quality content that might just cause me to start watching tv a little bit more. I can become an unergonomic desk-chair potato. You can read more about the technology behind Joost on Wikipedia. Unfortunately, Joost has not made a Linux version a priority and most of the content is only available in the United States.